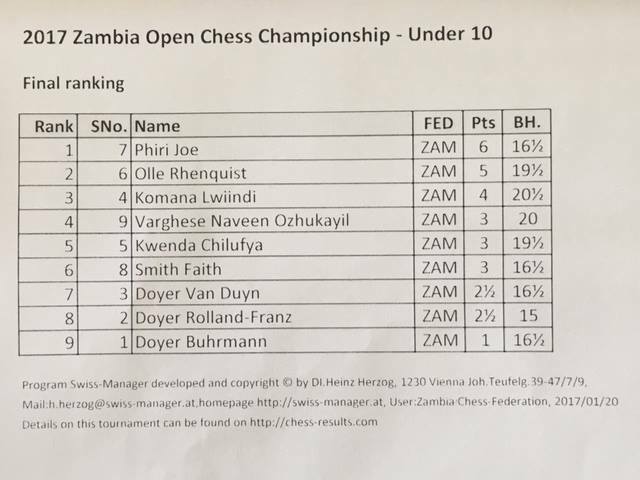 Day 4 at the Zambian Open saw the first prize-giving ceremony as young Joe Phiri recorded a perfect 6/6 to win the u/10 section by a full point. 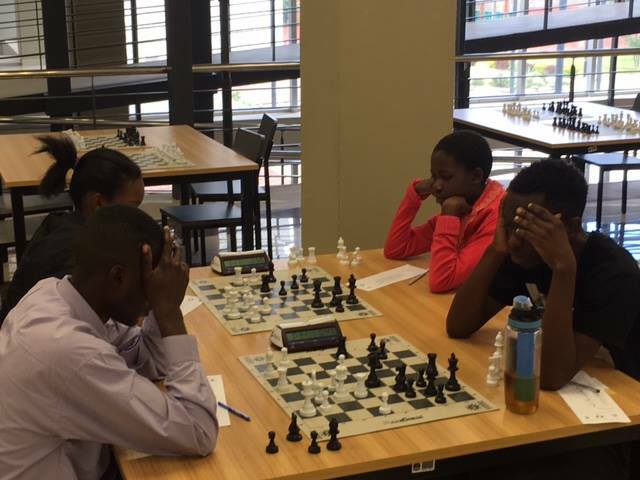 The U/16 event has reached the 4th round while the open finds CM Kondwani Gondwe, Mambwe Mwansa and KiddyMakwaya all tied on a perfect 5/5 at the end of the 5th round. 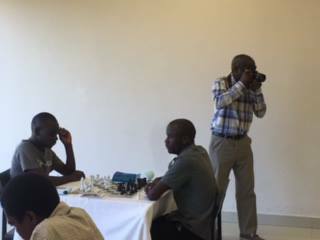 The masters saw a number of significant results in round 8 as IM Stanley Chumfwa beat IM Daniel Jere on board 1. 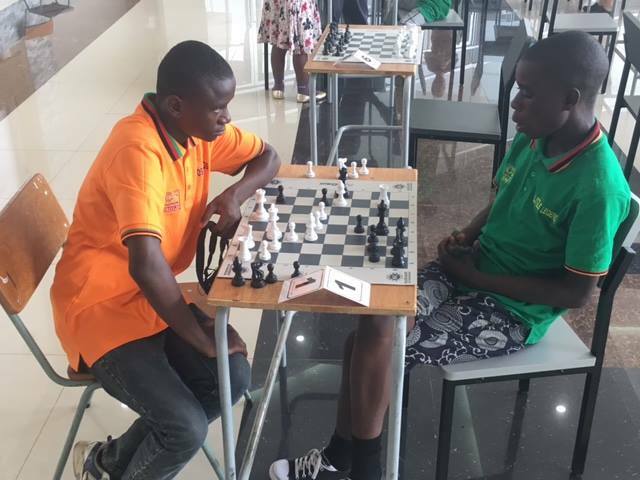 He is now tied for the lead on 6/8 with IM Chitumbo Mwali and these two will face off on board 1 to decide the title in the final round. IM Daniel Jere and Geoffrey Luanja are both still within striking distance on 5.5/8 and the winner will come from among these 4. 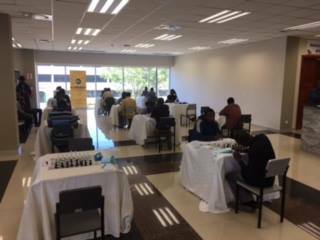 Tomorrow will see the conclusion off all events with a 9 round open FIDE rated blitz tournament scheduled to conclude the proceedings. 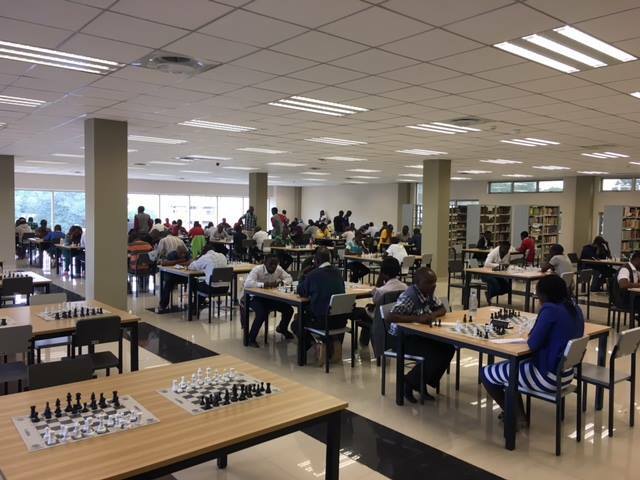 The hall at the 2017 Zambian Open is now full as the 116 participants in the open section joined the masters this afternoon. 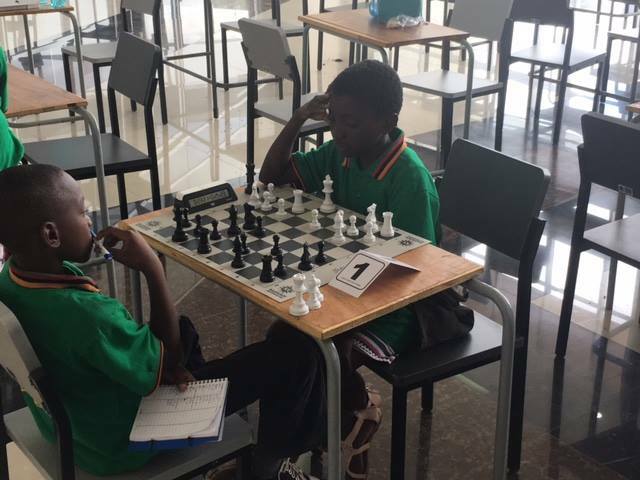 The U/10 and U/16 events will start tomorrow morning and we look forward to watching the next generation sit side by side with the best in the country! Round 7 in the masters could well prove to be critical as there are now 4 players tied for the lead on 4.5/6. 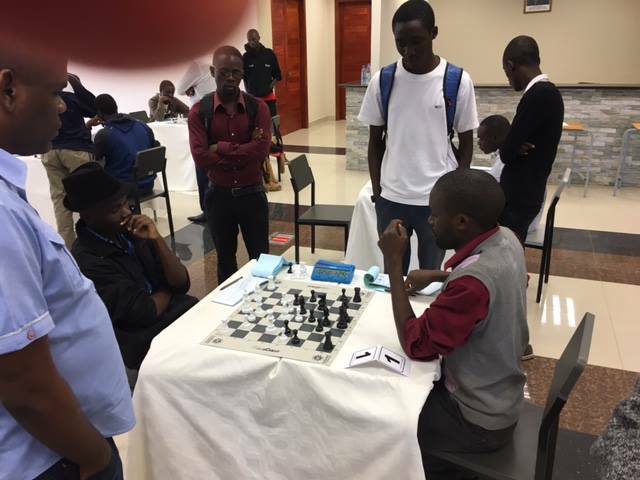 IM's Daniel Jere and Gillan Bwalya will finally face off on board while IM Chitumbo Mwali will take on Geoffrey Luanja on board 2. The large field in the open means that there is very little room for errors and we expect some tough fights with 3 rounds scheduled to be played in the open tomorrow. 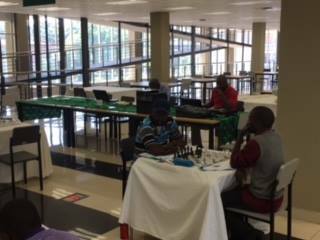 http://chess-results.com/tnr266544.aspx?lan=1 for those wanting to follow the games. 29 games from rounds 1-3 of the masters are now also available for download to assist players with their preparation for the remaining rounds. Open section now has 115 players registered. Play in the open starts at 2pm sharp and all players are asked to report to the arbiters by no later than 13.30 to confirm their place in the draw for round 1. 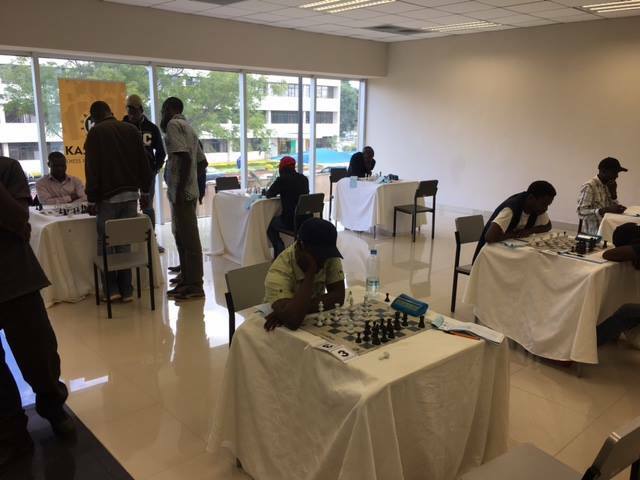 Meanwhile the Open section has already attracted more than 100 entrants, many of whom will be participating in a FIDE rated tournament for the very first time. 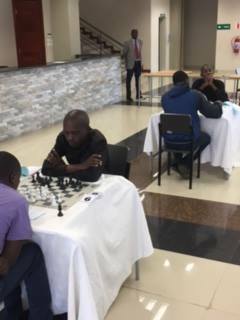 With 13 players rated above 2000 already registered for the open it is clear that the games here will also be extremely competitive. 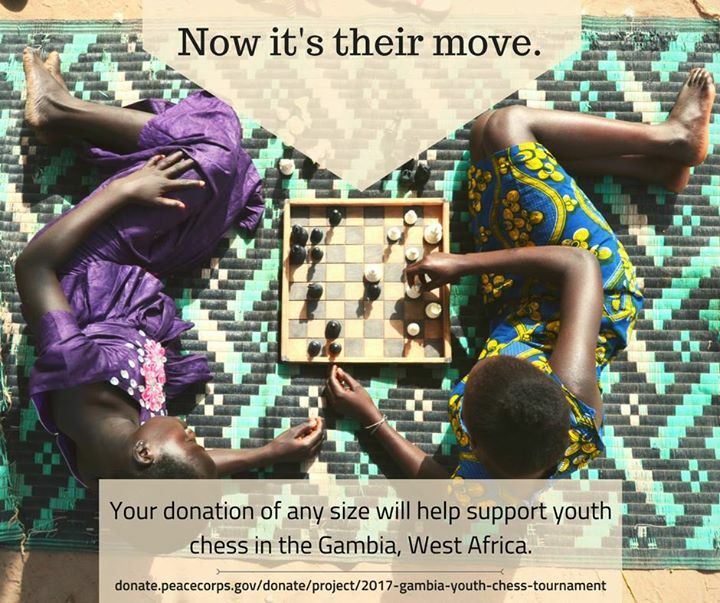 The US Peace Corp is currently raising funds to support The Gambia Youth Chess Tournament which aims to bring together 20 boys and girls from across the country for three days. 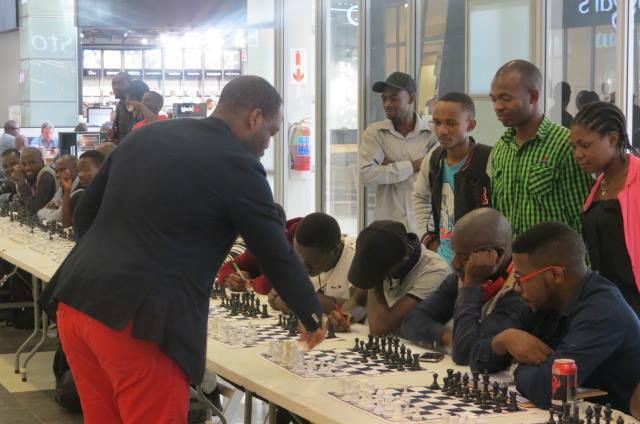 The plan to create an environment of fun and competition, where the participants will test their skills and make connections with other young people and with organizers at the local Federation. 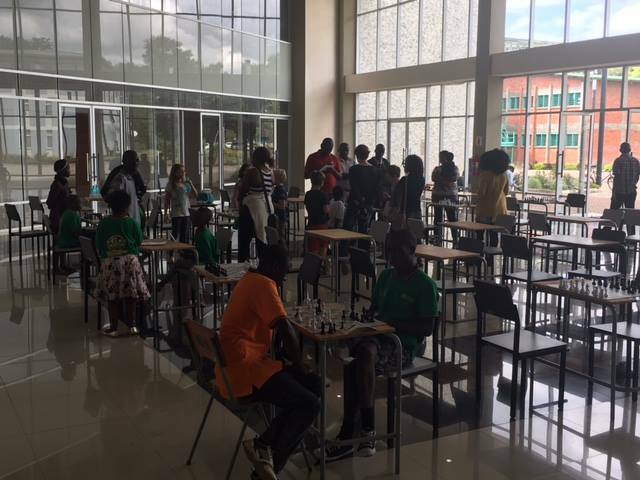 This event represents a rare opportunity for children from isolated rural villages to become members of the national chess community. 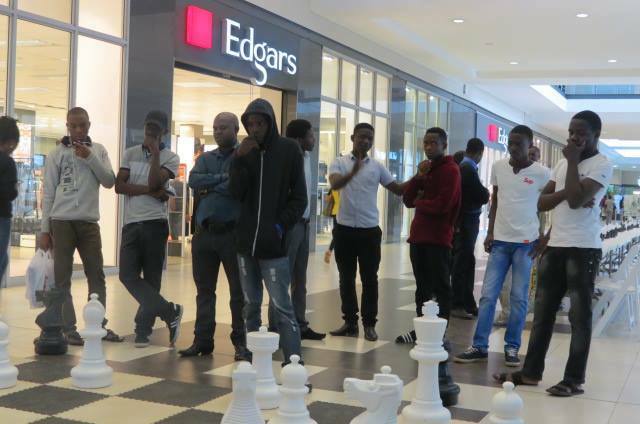 Participants will be selected from among children trained in the Chess For the Gambia project. For the last year, this project has offered over 160 children in rural villages the opportunity to train and practice through play and workshops. 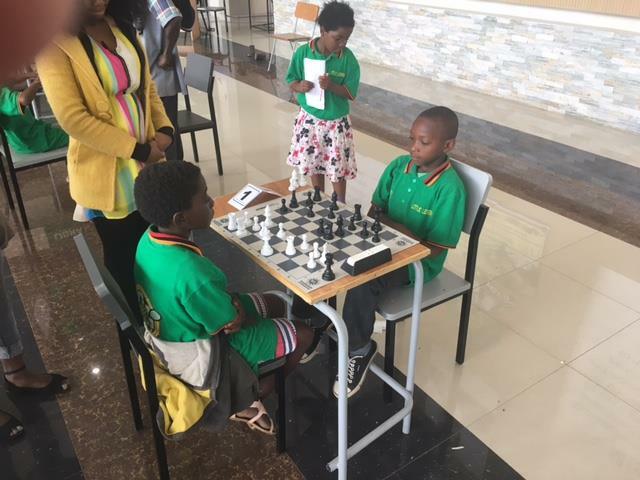 The Gambia Youth Chess Tournament will give these hard-working children the chance to win recognition for their achievements. 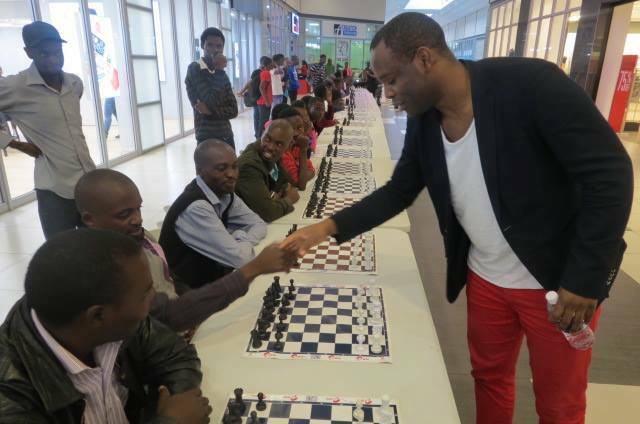 The event will provide a chance for the participants to be recognized for their hard work, and will promote education through chess in all the communities it touches. 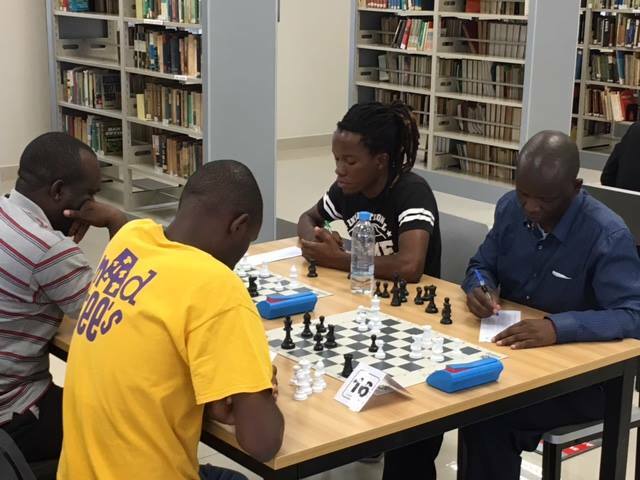 We wish the organisers well as they seek to spread the development of chess in the Gambia! 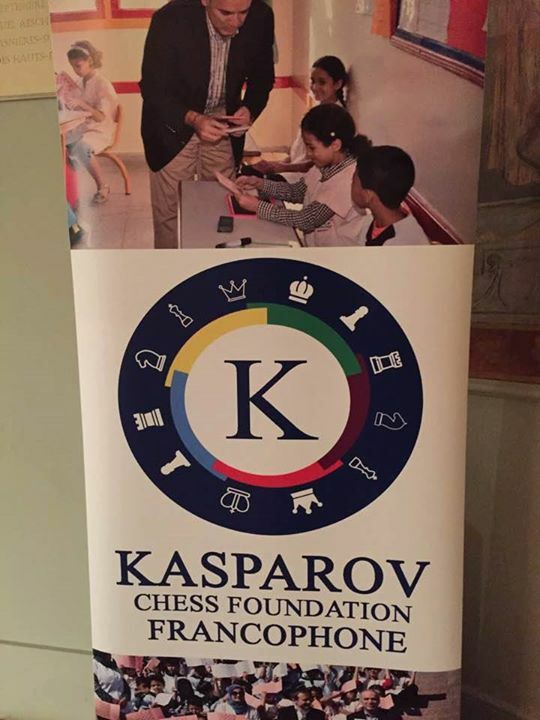 We are delighted to announce that the Kasparov Chess Foundation network has expanded again with the official launch of the "Kasparov Chess Foundation Francophone". 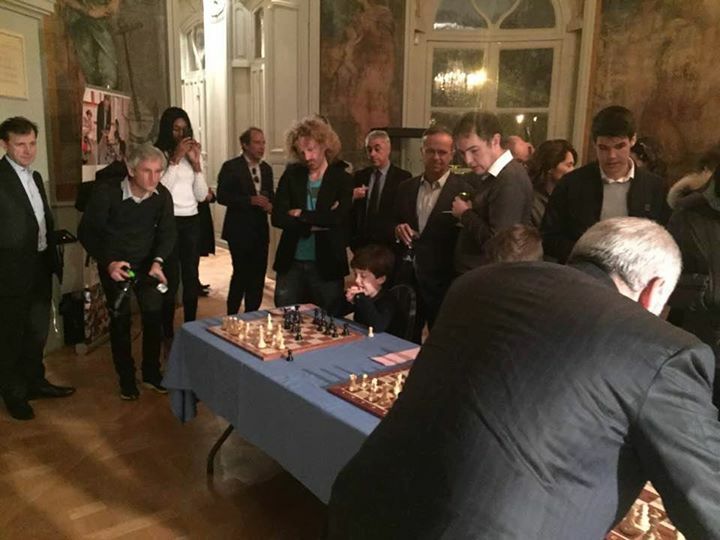 The launch function was held at the Chateau d' Asnières in Paris and was attended by many of the top french players including GM Maxime Vachier-Lagrave and multi-time french ladies champion IM Almira Schripchenko. 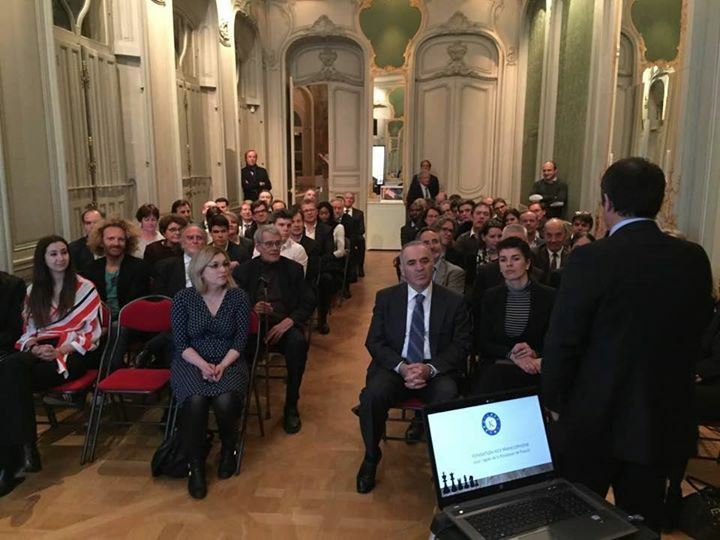 The new foundation will focus on children in French speaking countries and we expect to work closely with them as there are many French speaking countries in Africa. The new foundation has set the target of reaching 1 million children in French speaking Africa over the course of the next 5 years and we look forward to partnering with them to make this goal a reality. The first countries that will be benefiting include Madagascar, Cote d'Ivoire, Senegal and Morroco! 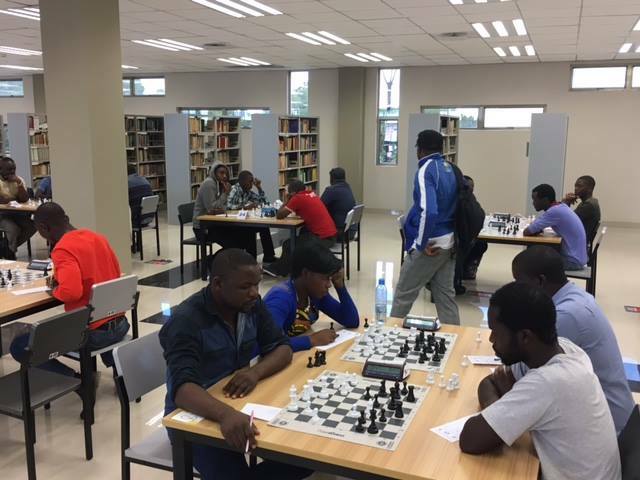 The report below was received from IM Andrew Kayonde on behalf of Project Chess Zambia - our local CMAT implementation partners in Zambia. We wish to thank Andrew for his dedication to help us make the tour a reality and also congratulate him on his recent wedding which he was somehow able to plan for at the same time! 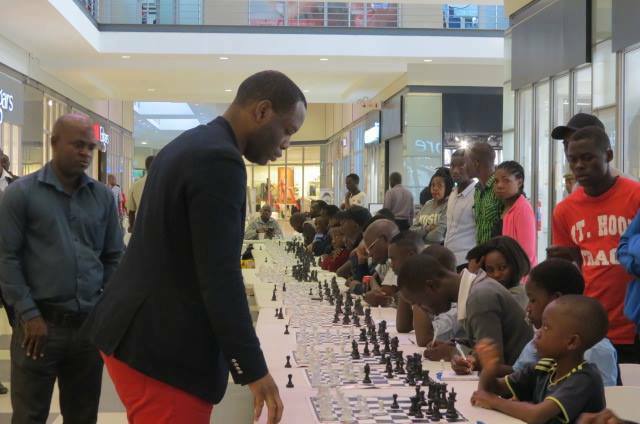 Only a few hours after arriving in Lusaka, GM Pontus Carlsson was already busy with a simultaneous exhibition against 24 players at East Park Mall. 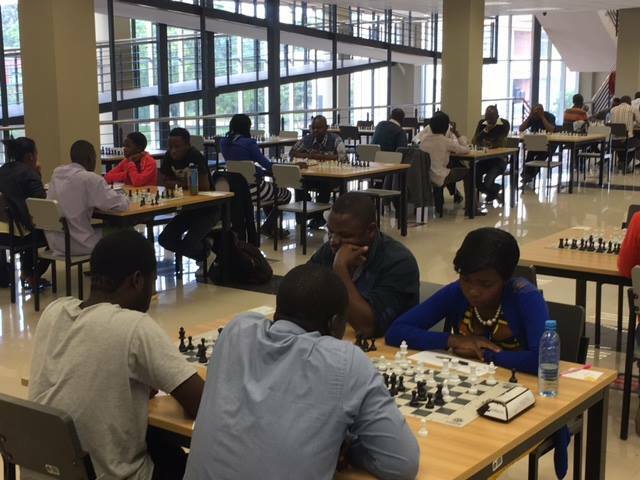 He faced a strong field with 5 players rated above 2100 including Geoffrey Luanja who has a FIDE rating of 2197 and the reigning National Women’s Champion, WCM Constance Mbatha. 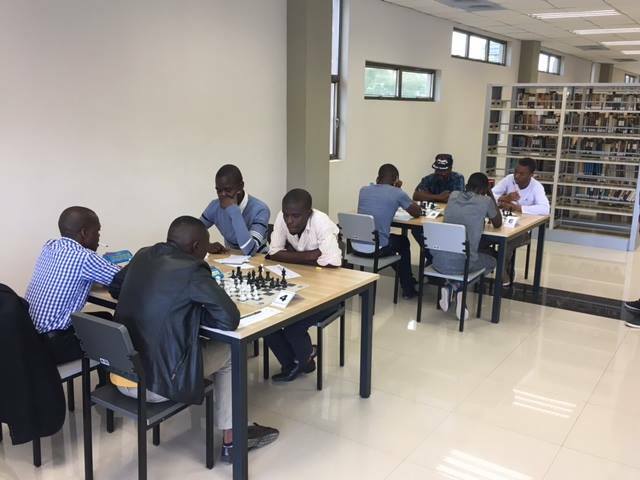 The ceremonial first move was made by Ericho Nshikokola, President of the Chess Federation of Zambia with the event lasting more than 4 hours. It ended shortly after 21.30 with GM Carlsson scoring an impressive total of 22/24. 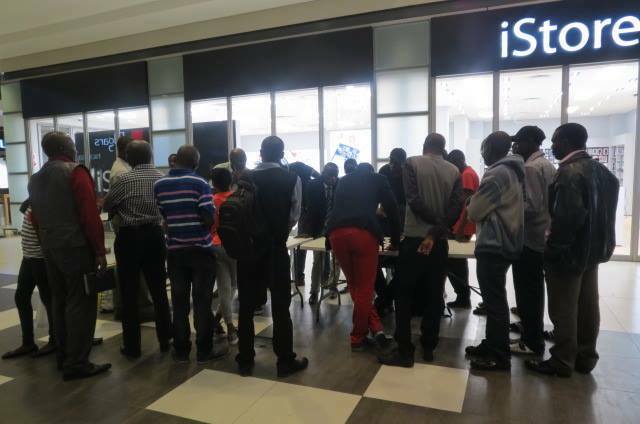 Congratulations are due to Kennedy Katowa, Clifford Kaimana and Alistair Chisompola who managed to secure draws! 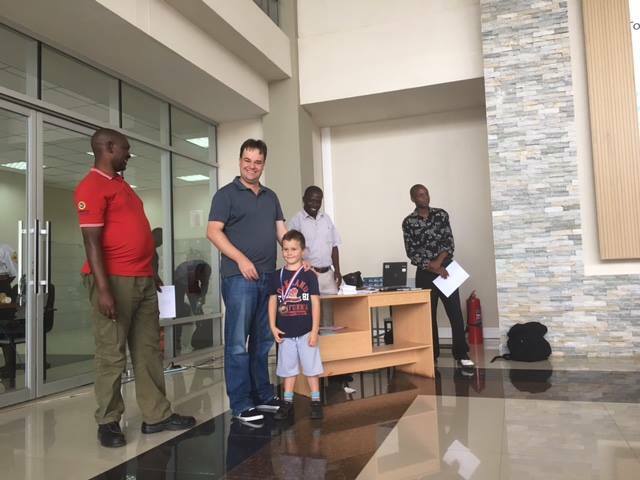 The senasation of the day however was the draw result recorded by 8-year old Kennedy Shane who recently won the U9 category of the African Youth Chess Championships. He clearly has a bright future ahead of him. Day 2 and 3 focused on the training of a group of 10 trainees who had been specially selected for the program. 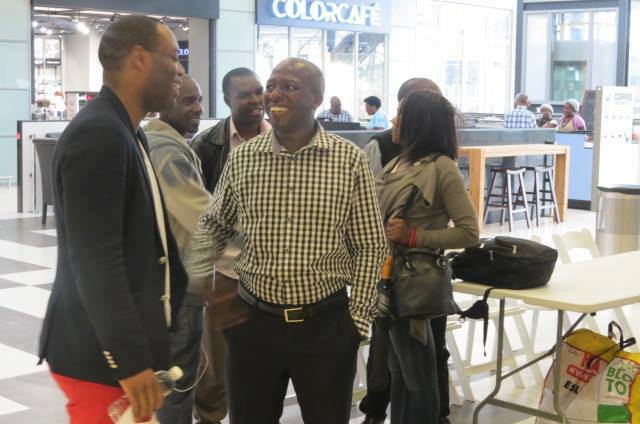 The group consisted of Geoffrey Luanja, Constance Mbatha, Mulenga Cliff Mulenga, Anna Mbewe, Clement Mayimbo, Bright Muyenga, Justin Daka, Kennedy Katowa, Stanley Ngulube and Alistair Chisompola. 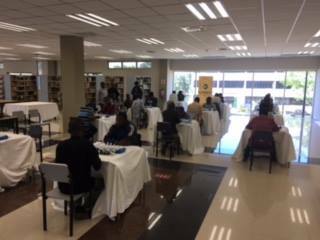 The first sessions on Saturday focused on how to train children and equip them with an arsenal of knowledge and insights. - Fundamentals of chess openings and how to build a plan. 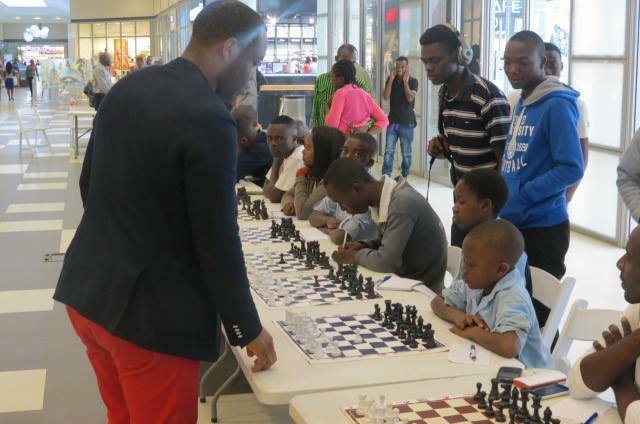 - Training games, played from a classical position of the french defense on either side of the board. - Analysis of classical positions from the Sicilian Dragon and French Defense. Answers on the best continuations in set positions were to be submitted the following day as a homework assignment. - Playing the endgame – covering different types of endgames and how to handle each situation. 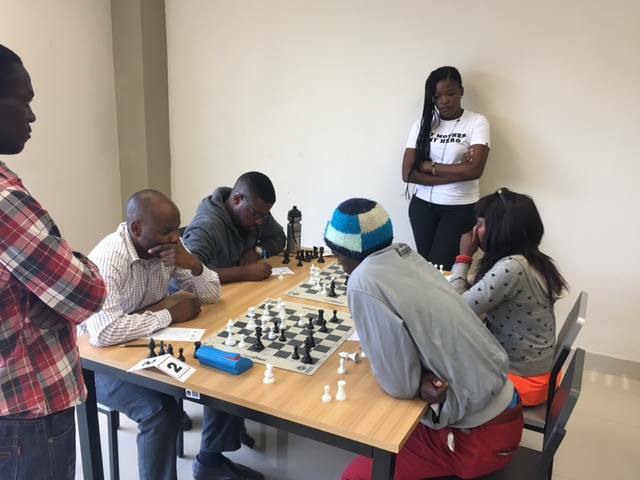 Having covered the three phases, Pontus went on to give insights into the basics of a good chess coach. The trainers were also taught about the psychology of coaching. 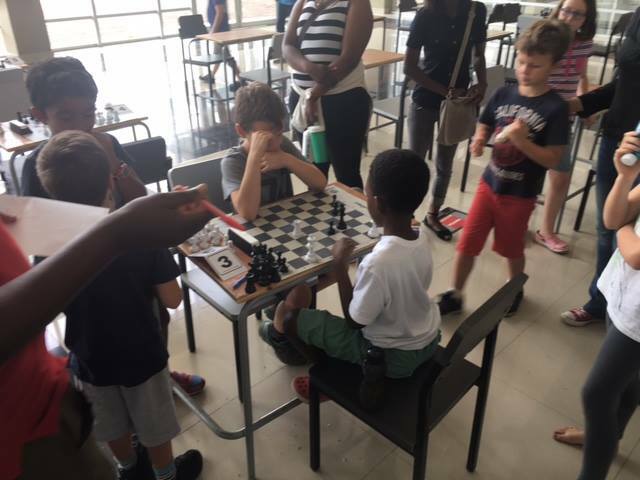 The trainers were then divided into two groups and assigned to either Rhodes Park School or Thorn Park Primary School – the two schools that the GM would visit during his final 2 days of the tour. 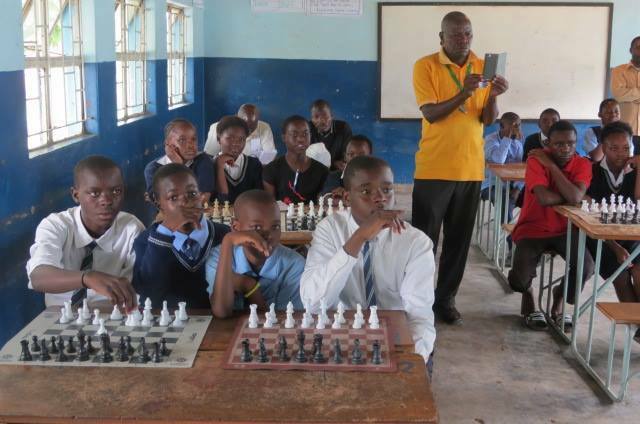 GM Carlsson visited two very different schools during the final phase of the tour. Thorn Park Primary is a government school while Rhodes Park is private. 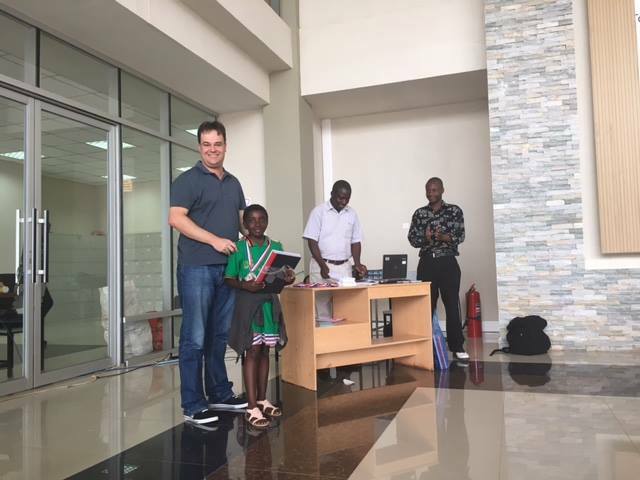 The mix of schools provided an opportunity for the GM to experience the different school settings within Zambia. Each school visit lasted approximately two hours and both schools were visited twice on consecutive days. 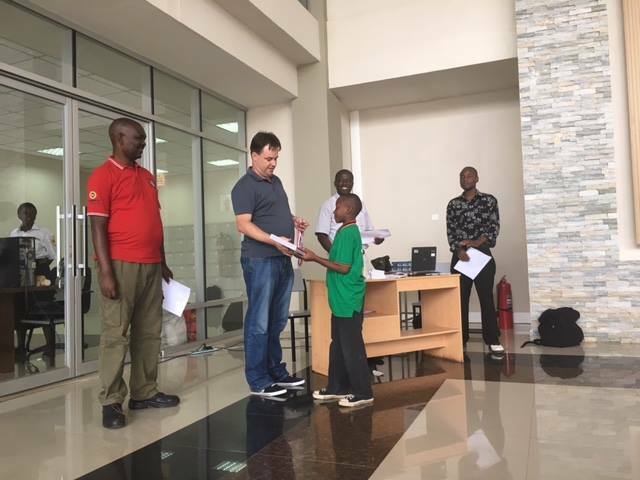 In total, 77 children from the two schools had an encounter with the GM. 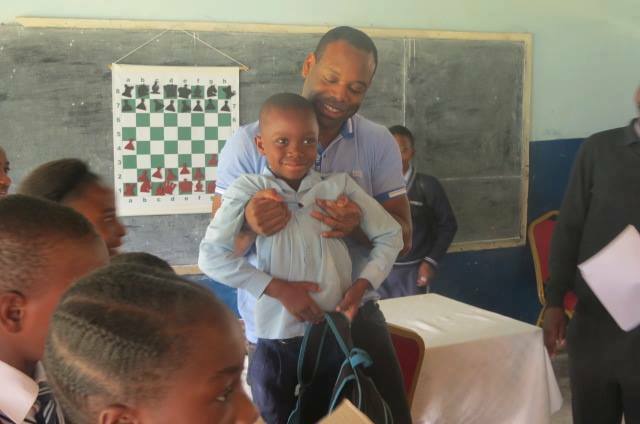 On the first day, GM Carlsson taught the children personally as the trainers observed and assisted. Carlsson added fun to the learning experience for the children by incorporating games as a teaching aid. Among many exciting ways to teach, he made the children participate through groups. Everybody had lots of fun. 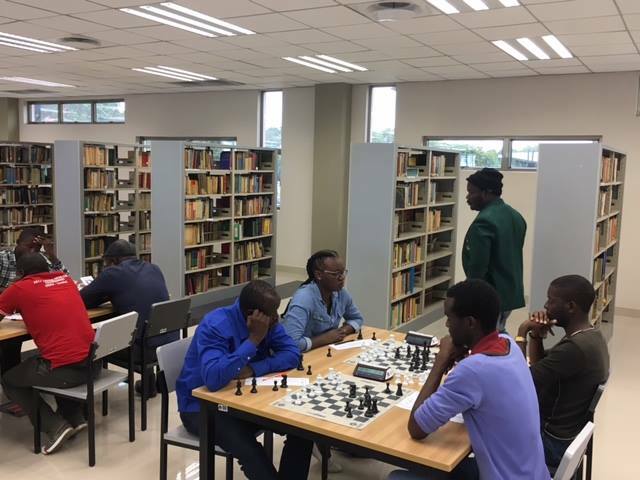 Officials from the National Sports Council of Zambia and the Chess Federation of Zambia joined the GM on the first day at Rhodes Park School. 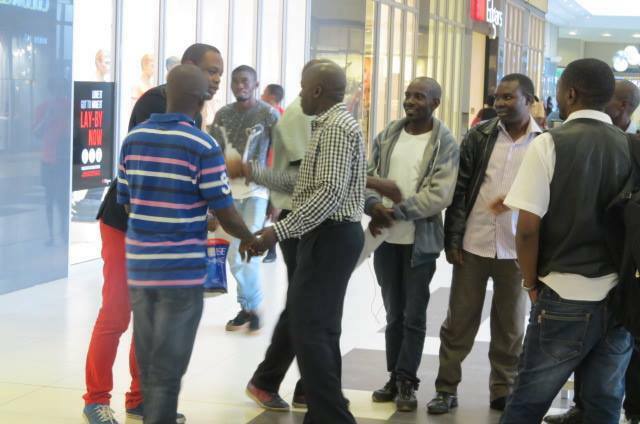 They were encouraged by what they observed and expressed support for the program. On the second day of the school visits, the trainers did most of the teaching as with GM Pontus observing and assisting were necessary. The trainers had drawn up lesson plans which they used as a guide to deliver the lessons. 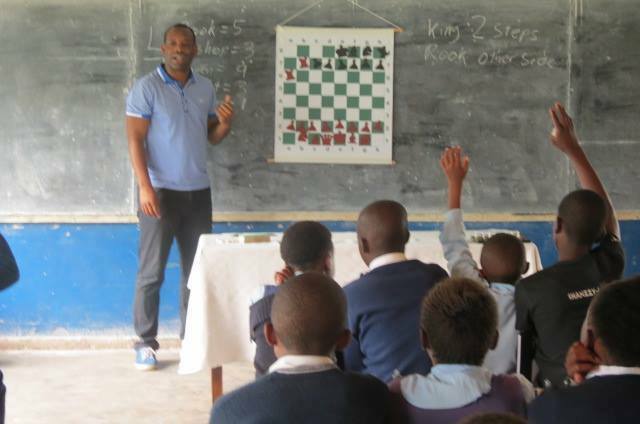 A total of 15 chess sets, 2 chess clocks and 1 demo board was donated to each of the two schools. 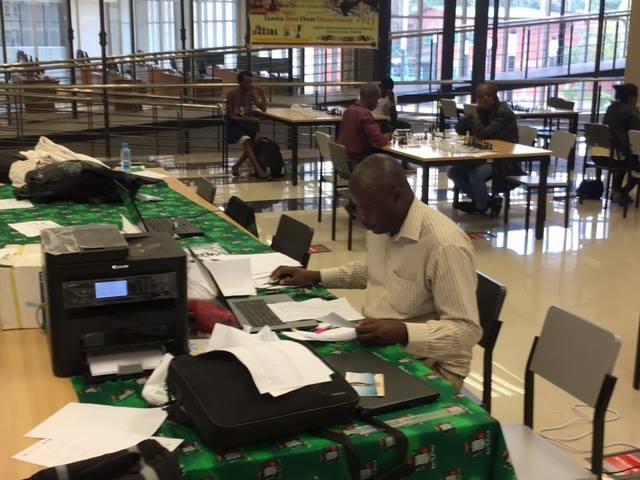 Trainers have since been assigned to the two schools to continue the training on a weekly basis. 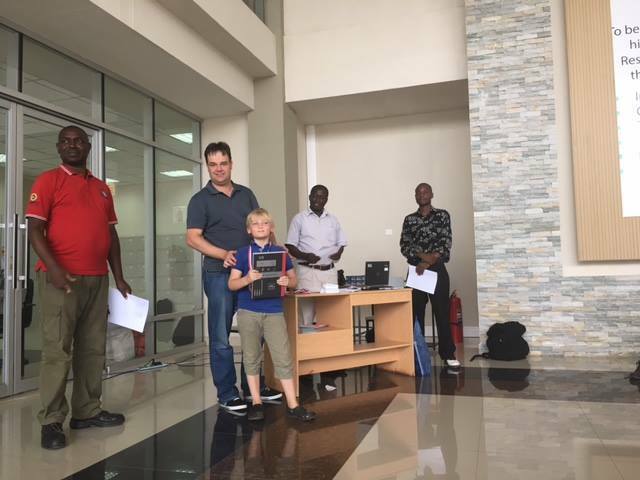 Having acquired a relatively deep understanding of each of the trainers on the program, GM Carlsson held one-on-one sessions with each of the trainees on the final day of his tour. 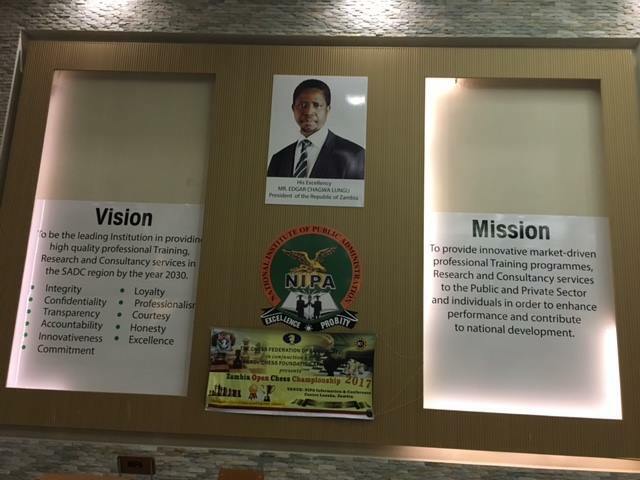 During these sessions, he highlighted to each of them what he had observed to be their weaknesses and strengths. Each trainee received feedback and guidance on what they ought to do to improve their playing strength and improve their coaching skills. They were given further assignments which will be followed up when the second training sessions take place in April. 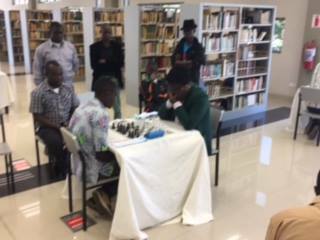 Having successfully delivered the objectives of his tour, GM Calsson finally departed from Africa on the 2nd March 2017. The trainees were sad to see him go but also thankful for the knowledge he imparted while he was here. We look forward to the next visit later this year. 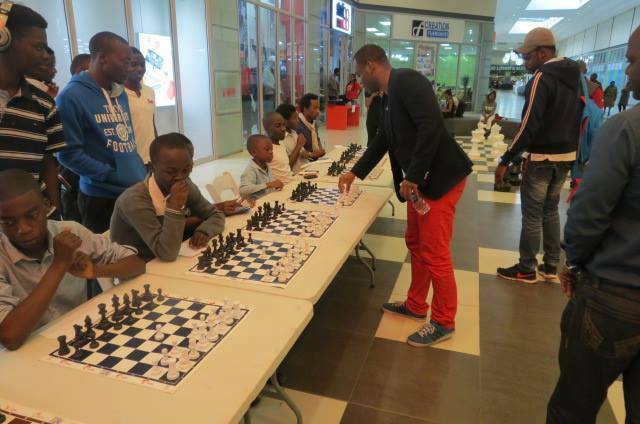 One of our flagship events which will feature a GM Norm Round Robin section this year. 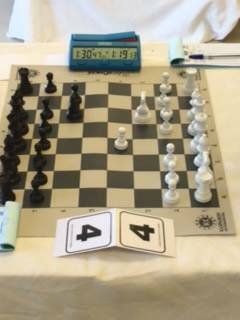 Many FIDE Rated Round Robins as well as weekender open sections. 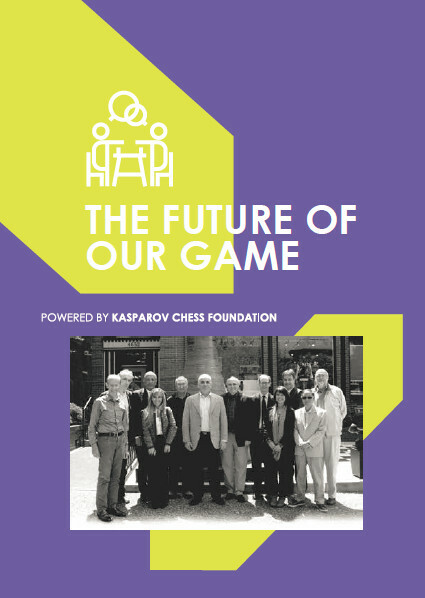 Sections include a FIDE Rated Rapid & Blitz for players 1800+ as well as various open and development sections. 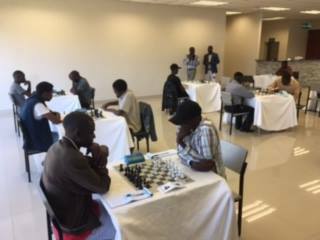 Prize fund is over R40,000 and 3 Grandmasters will be participating.